Wie kann Deutschland dazu beitragen? 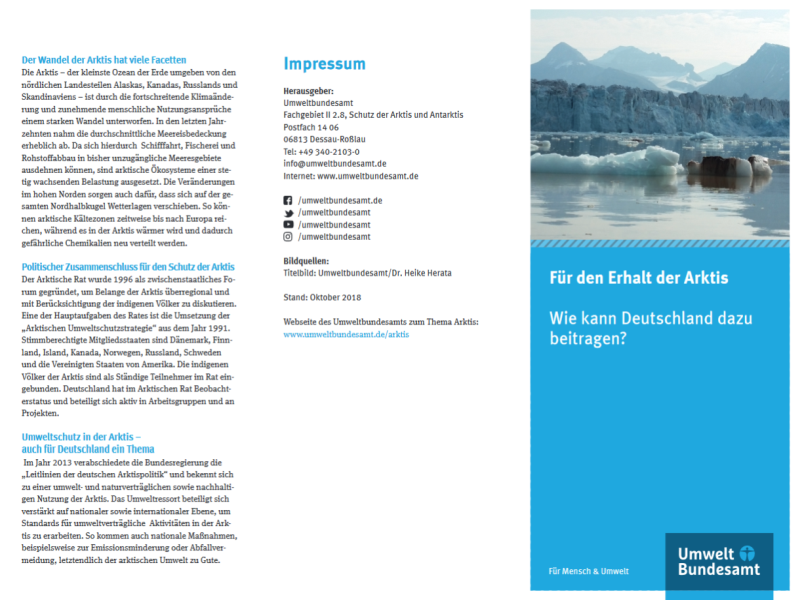 For the Conservation of the Arctic – How can Germany contribute? 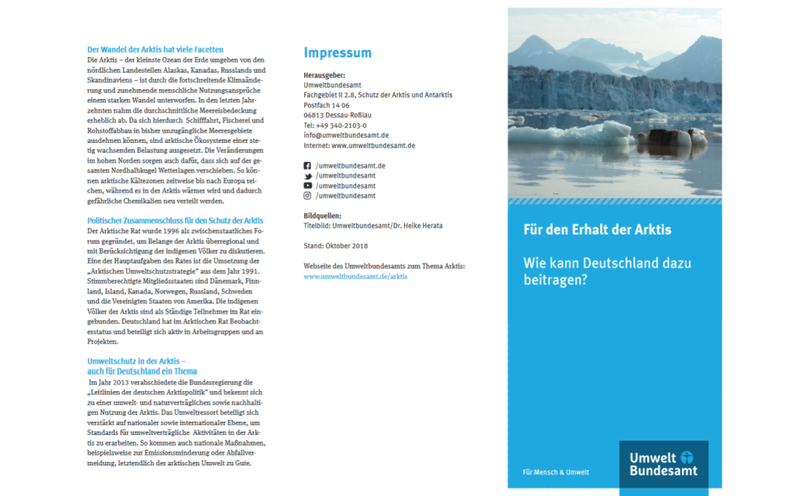 In this flyer, the Federal Environment Agency summarises the essential information on the focal points of the environmental guidelines for a German Arctic policy. 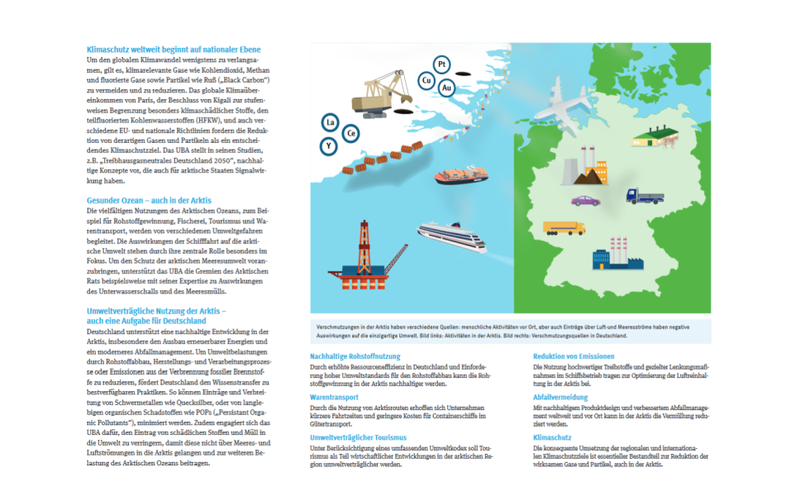 Ecologic Institute was responsible for creating the flyer based on the Federal Environment Agency's design. Umweltbundesamt (2018): Für den Erhalt der Arktis.Wie kann Deutschland dazu beitragen? Flyer.